Beacons will participate in an intensive leadership and organizational development program accompanied with additional one-on-one support. The goal is to embed transformational change skills and practices inside organizations and alliances in a sustainable and consistent way. We expect to select 10-15 organizations and alliances to participate in this pilot session, spanning approximately 12 months. Each organization can nominate one staff leader, or fellow, to be a Beacon. Where possible, and under specific conditions, a second fellow from one organization may be accepted. Assessments: Individual and organizational assessments will serve as a springboard to the leadership development and skills-building work of the project. Specifically, 360° Leadership Assessment and RoadMap’s My Healthy Organization/Alliance tools will be completed with each fellow and organization/alliance. Retreats: In order to build relationships, trust, and a sense of community among the Beacon fellows, as well as engage in experiential learning, participants will attend two 3-day retreats at the beginning and at the of the program. Trainings: The curriculum will include practical workshops, trainings, and practice; the opportunity to examine individual strengths and challenges; develop an understanding and practical application of aligning organizational systems and practices; reflection and mindfulness tools and practices; and broadening the understanding and analyses of our communities and organization with a somatic lens. A full list of skills and tools can be found below. Customized change initiatives for each organization that describe desired goals and demonstrated impacts and provide the opportunity to deepen skills via actual practice. A coach will work with the fellow and, where needed, with the executive director to implement the initiative. Webinars will provide additional skills-building and cohort support to further deepen beacons’ abilities to execute new practices and systems within their organizations. Coaching: Monthly, 50-minute phone coaching session for fellows. Evaluations: The monthly coaching calls are mini-evaluation and goal-setting conversations. There will be a more formal and comprehensive evaluation that takes place at the final retreat. Successfully lead an organizational change process that will result in greater health, effectiveness, and staff contentment and sustainability. Develop and support individual and collective attitudes that contribute to more equitable power, opportunities, and treatment for people of color inside the organization/alliance. Awareness of integrating racial justice and equity practices. A commitment to provide all necessary resources and support for staff to fully engage and succeed in the Beacon Project process, including, but not limited to, creating space and opportunities for staff to practice and test out new skills and activities. Demonstrated interest in building relationships with all levels of the organization/alliance. Commitment to create organizational opportunities to practice new skills and tools. Interest and commitment to finding balance between work and personal life. The organization/alliance agrees to pay $5000.00 to partially cover the cost of participation. The tuition fee can be covered through a combination of self-pay and/or grants and may be paid over the course of 2 payments. A second fellow may be added at an additional cost of $4000.00 (must seek agreement from the beacon team and apply for the project). Emily Goldfarb is the founder and executive director of RoadMap. The “Beacon Project” concept is a long held dream of hers and she is thrilled that we are ready to launch this! She has worked as a consultant since 1997 where she has worked for more than 100 nonprofit organizations and foundations. Her consulting work is informed by over twenty years of activism and organizational leadership in the immigrant and refugee rights movement. She is the founding Executive Director (1986-1996) of the Northern California Coalition for Immigrant Rights, where she led a staff of 25, built a broad-based regional coalition of over 100 organizations, and advocated for progressive reforms on the local, state and federal levels. Emily was a co-founder of Mujeres Unidas y Activas and has been a coach and consultant to MUA for a long time. She recently co led a project called Futuro Fuerte at MUA, designed to support immigrant staff leaders and support other internal practices of health and wellbeing. She has been a Windcall Retreat resident two times and is the co-creator of the My Healthy Organization and Our Healthy Alliance assessment tools designed for social change organizations. Working primarily with community-based organizations that engage in base-building, community organizing, and policy advocacy, Emily specializes in organizational start-up and development, facilitation, individual coaching, strategic planning, the linking of services to social change strategies, and the design and implementation of capacity-building programs. Emily is bilingual in English/Spanish. She lives in San Francisco, CA. Jaritiza Geigel: Poet. Womyn. Black Queen. Peace, I was born and raised in Bushwick, Brooklyn where I am lucky enough to still currently reside. 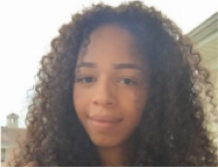 I started organizing as a youth member with Make the Road New York at the age of 16 and by 19, I transitioned on to the team and it’s been a life changing experience. It was there that I was able to find one of my soon to be many passions working, fighting along side, and developing young people. Over the last couple years I have been introduced to somatics and have seen the fruits of its work when we choose to walk from our core values and how we want to experience one another. Knowing the impact it has had in my life it’s been a vision to build this with the young people in our communities. Our communities are in need of healing and rebuilding and I am committed to engaging in that fight any where I am. Mohan Sikka’s practice areas include strategic and operational planning, executive coaching, team building, group facilitation and board development. Mohan specializes in working with teams and leaders who want to clarify their primary purpose and make their vision for change as powerful as possible, or those who want to align their organizational and individual practices with desired impact. Mohan has 20 years of nonprofit experience, starting with fundraising for community-based organizations, and over time gaining depth in planning, facilitation and coaching. Mohan was most recently Managing Director for Leadership Development at Community Resource Exchange, NYC’s premiere nonprofit consulting firm for groups fighting poverty and advancing social justice. At CRE, Mohan designed and implemented a range of cutting-edge offerings, including executive and team coaching and leadership training. Mohan was a staff consultant at CRE for 12 years and continues a relationship with them. In the last two decades, Mohan has worked with more than 150 nonprofits of every size in NYC and beyond, including groups providing critical services, advocating for change, and strengthening neighborhoods. He has consulted to coalitions and campaigns, centers for public policy, community foundations, and social and creative entrepreneurs. 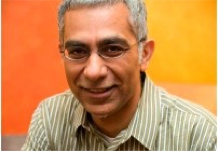 In his consulting and coaching work, Mohan offers a deep knowledge of social and organizational issues, an understanding of how change happens for individuals and groups, and an awareness of the transformational power of alignment with vision. As a coach, Mohan is passionate about helping people connect to a sense of purpose and fulfillment in their work, realize their talents, and change individual and team behaviors that are obstacles to success. Mohan is an experienced trainer on leadership and management topics, with equal facility in working with board and staff teams. Mohan has written and published about management issues in local and national journals. Mala Nagarajan will provide support to the project participants in her role as manager of My Healthy Organization (MHO) and Our Healthy Alliance (OHA). Mala Nagarajan a nonprofit strategist and social entrepreneur with more than 20 years of management, technology, and organizational development (OD) experience spanning the public, nonprofit, and for-profit sectors. I am driven by a vision of strong organizations working collaboratively toward a common social purpose. I’m an organizational development geek at heart, and I see my work as learning with you and providing you adaptive capacity and an external perspective. 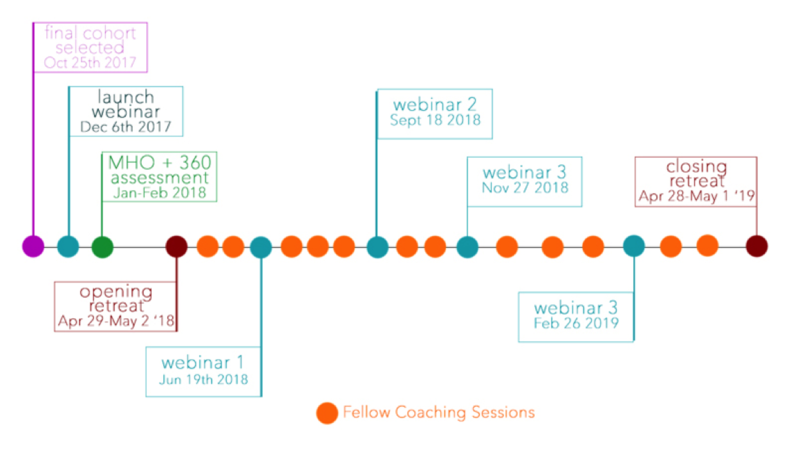 Other RoadMap members representing a range of backgrounds, diversity and expertise will join the Beacon Project to provide coaching to fellows and executive directors.